Joao Marco Maffini is one of my top level future pro riders. Joao Marco has spent the last four years training with me on the north shore of Maui. At 16 years old, Joao Marco is already one of the standout tow surfers at Jaws and is a very accomplished big wave paddle surfers. I am training Joao Marco in the same format that I taught Ian Walsh, we concentrate on very small contest surfing and extra large big wave riding. This combination sets him apart from the rest of the kids his age and I rate him in the top 10 at jaws and in the top 30 in the world contest rankings. 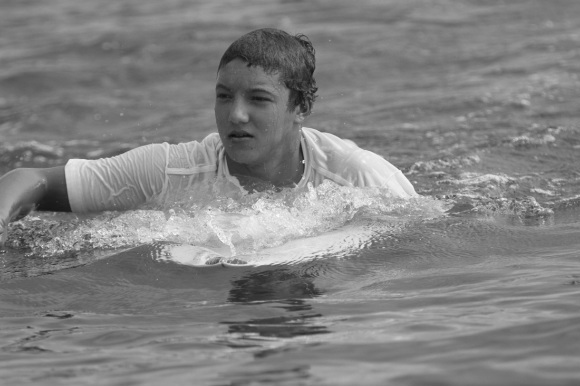 Results: 4th Boys 14-15 HSA Hawaii Ratings 2011. Favorite wave: Peʻahi(Jaws), Maui & Cloudbreak, Fiji. Sponsors: Kazuma Surfboards, Swae Watches.